ExtraHop has fundamentally changed the way that we monitor and manage our business. Conga, a leading provider of Salesforce.com productivity applications, had the best kind of problem: customers were lining up to use their applications. Now they had to figure out how to quickly scale to meet the demands of a growing global customer base. Their solution? Amazon Web Services. When Conga migrated its application to Amazon Web Services, they transformed what would ordinarily be a CAPEX cost—datacenter scale—into an OPEX cost with more flexibility. At the same time, they suddenly found themselves lacking adequate visibility into how their application was functioning and how users were interacting with the application. This affected their ability to troubleshoot performance problems and assist customers. Moreover, without this visibility they were often unable to prevent costly auto-scaling events. After searching for a solution that would help them restore visibility and that could run in AWS, Conga found ExtraHop. 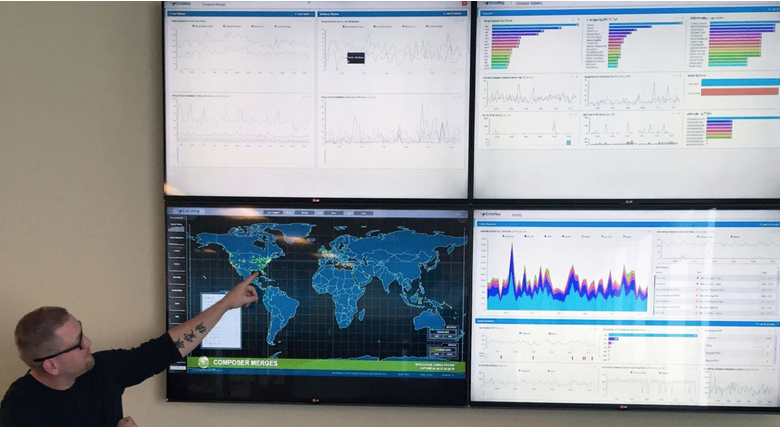 Conga displays ExtraHop dashboards in their office so that they can continuously monitor critical metrics and identify anomalies. According to Director of IT Brad Blake, "ExtraHop has fundamentally changed the way that we monitor and manage our business." The company displays ExtraHop dashboards on large monitors throughout the office, and it has become a part of employees' morning routine to inspect the dashboards, as well as periodically throughout the day. Read the full story about how Conga is using ExtraHop for application intelligence in AWS.